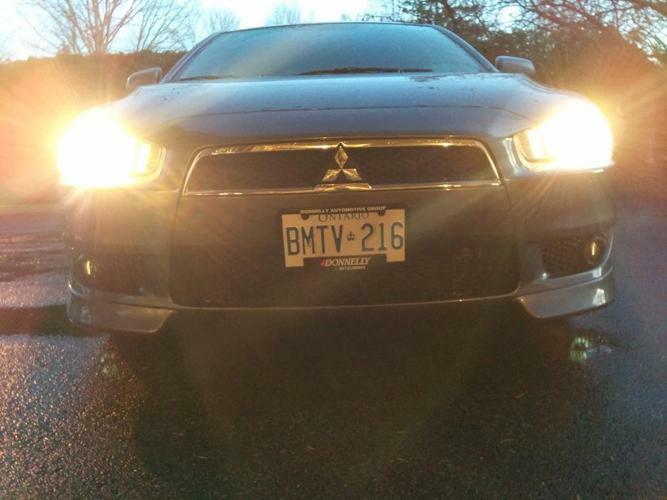 I am looking to sell whole, a 2011 Mitsubishi lancer GT fully loaded(auto w/paddle shifters), 32640KM on the ODO, Original owner, well maintained, in fantastic condition. $3200.00 OBO. (Negotiable) This vehicle is in fantastic running condition. There is no structural damage to the frame as it has been appraised and verified by Tony Graham collision center. Major collision damage to driver's side rear. Needing a rear windshield, trunk, spoiler, bumper cover, quarter panel. The rest of the vehicle is in great condition. Winter tires and steelies extra. Vehicle is grey. I am willing to part out this vehicle based off the variables. Vehicle is sold as is, excluding any additional aftermarket parts. All original parts will be present during sale. 2009 Mitsubishi Lancer ***Clean Car***Loaded !! !